pseudo-Aristotle, Theology, MS Qom, Golpayegani 6-172, f. 1 v.
The Peripatetic philosopher Boethus of Sidon (mid-first century BC), a pupil of Andronicus of Rhodes, is well-known for his commentary on Aristotle’s "Categories", whose fragments are transmitted by later commentators together with testimonia about it. In his exegesis of the "Categories", Boethus especially focused on the category of relation (Cat. 7), on which he wrote a specific treatise, arguing against the Stoics for the unity of the category of relation. The present paper offers a translation and analysis of Boethus’ fragments on relation, all of which are preserved in Simplicius’ commentary on the "Categories". The aim of this paper is to provide the critical edition, with translation and commentary, of a short Syriac treatise by Paul the Persian (6th century) about Aristotle’s Peri Hermeneias. The text is edited from a unique manuscript, preserved in a convent near Mosul (Iraq): Notre-Dame des Semences 53. The commentary examines in detail Paul’s Syriac text by comparison with the Greek commentaries by Ammonius and Stephanus on the Peri Hermeneias. From this comparison, the evident influence of the Greek Ammonian tradition on the Syro-oriental philosophical milieu will become clear. The study will also substantiate the claim that, in Paul’s eyes, the treatise of Aristotle does not deal with propositions, seen as the components of the syllogism, but with the contradictory pairs of propositions. Moreover, Paul approaches the analysis of contradiction by interpreting the propositions in terms of their material subject. In recent past the already abundant bibliography on the Ismā‘īlī Nizārī sect, known in the Western world since the 12th century with the inappropriate and hostile definition of ‘Assassins sect’, was enriched by fundamental contributions of Farhad Daftary, co-director and head of the Department of Academic Research and Publications at the Institute of Ismaili Studies. However, in his work are not even mentioned some Byzantine sources on the sect, which are of considerable interest, and that scholarship has taken into account only seldom. The present paper can be regarded as a sort of small Appendix to Daftary’s work. It consists of two distinct parts: the first is dedicated to the image of the Ismāʿīlīs in the Byzantine sources (Anna Comnena, John Phokas and Niketas Choniates); the second one is an analysis of the dossier concerning a Fatimid dā‘ī sent to Constantinople. The Coptic Historian al-Makīn Ǧirǧis ibn al-ʿAmīd (1206 - after 1280) is the author of a universal history known as al-Maǧmūʿ al-Mubārak (‘The blessed collection’). This work is divided into two parts: a section on pre-Islamic history, still unpublished, and a summary of Islamic history, edited by Erpenius in 1625 and completed by Claude Cahen. The article analyzes the two recensions of the first part of the Maǧmūʿ through the comparison of three manuscripts, in particular as regards the sections on Hellenistic, Roman and Byzantine history. After discussing the particular version of the Testimonium Flavianum which can be found in the longer recension of the Maǧmūʿ, the article traces the fortune of al-Makīn in subsequent Islamic historiography, especially al-Qalqašandī, al-Maqrīzī and Ibn Ḫaldūn. The project “Glossarium Graeco-Arabicum” was launched in 1980 at the Seminar für Orientalistik und Islamwissenschaft (Ruhr-Universität Bochum, Germany). First supported by the Deutsche Forschungsgemeinschaft (German Research Foundation) for several years, it forms since 2010 a part of the ERC Project Ideas “Greek into Arabic. Philosophical Concepts and Linguistic Bridges” (Advanced Grant 249431). The object of the project “Glossarium Graeco-Arabicum” is to make available the lexical, grammatical and conceptual content of the Arabic translations of Greek scientific and philosophical works, made from the eighth to the tenth century A.D., and forming the basis of the scientific activity in Mediaeval Islam. A group organized by Gerhard Endress (Bochum) and working in cooperation with Dimitri Gutas (Yale University, New Haven, Conn.) compiled the lexical materials first on index cards (ca. 80,000), and then started to prepare the Greek and Arabic Lexicon , presenting the lexical data in a rationalized and systematic way. This is published in print by E.J. Brill since 1992. The online Database “Glossarium Græco-Arabicum” makes available the files which have not yet been published in the analytical reference dictionary GALex, and comprises Arabic roots from the letter ǧīm to the end of the Arabic alphabet. The database provides search facilities for Greek words, Arabic words and roots, as well as the authors and titles of the source texts. This paper presents the general model of a Web application for computational philology and describes the modules implemented by ILC-CNR in Pisa for the ERC project Ideas “Greek into Arabic. Philosophical Concepts and Linguistic Bridges” ADG 249431 (acronym: Greek into Arabic). The main principles on which the model is based are modularity, flexibility and development of the software according to open source criteria. These elements make it possible to include additional components in the modular structure, as well as components essential to the Greek into Arabic project (modularity), thus allowing the application to extend its functions to many other philological fields, from classical and medieval philology to genetic criticism and philology of ancient printed texts (flexibility). Dissemination of this application, especially in the research and academic fields, is guaranteed by the fact that its development is performed using internationally acknowledged systems of standard mark-up language and tools with no copyright restrictions (open source). In Part II a preliminary version of the user manual of G2A Web application is provided. The present contribution describes the current operating procedures of the G2A application. The system is still under development at the Institute of Computational Linguistics (ILC/CNR, Area della ricerca di Pisa); therefore, all the functions described in this provisional user manual should be considered as an exemplification of the general model described by Andrea Bozzi in Part I. This article discusses methodological aspects of the Greek into Arabic Web Application related to the annotation system. Collaborative environments for the philological studies manage multiple versions both of the reference edition with digital variants and of linguistic and exegetical annotations. The system must verify and maintain the consistency of interrelated information, which can change asynchronously. Strategies to align different versions of texts and annotations, in order to update the internal references and notify the users to verify the content consistency, are illustrated. Structural aspects that involve the granularity and overlapping of annotations are discussed, taking into account also that linguistic annotations automatically generated by morphological parsers can be the basis for extended comments in natural language. Finally, the article illustrates which features related to the annotation system are yet implemented in the G2A Web Application. The aim of this paper is to describe our work on the project “Greek into Arabic”, in which we faced some problems of ambiguity inherent to the Arabic language. Difficulties arose in the various stages of automatic processing of the Arabic version of Plotinus, the text which lies at the core of our project. Part I highlights the needs that led us to update the morphological engine AraMorph in order to optimize its morpho-syntactic analysis. Even if the engine has been optimized, a digital lexical source for better use of the system is still lacking. Part II presents a methodology exploiting the internal structure of the Arabic lexicographic encyclopaedia Lisān al-ʿarab, which allows automatic extraction of the roots and derived lemmas. The outcome of this work is a useful resource for morphological analysis of Arabic, either in its own right, or to enrich already existing resources. The following sections illustrate a part of the study on the morphology of the Arabic language which is carried on within the framework of the ERC project Greek into Arabic. Philosophical Concepts and Linguistic Bridges ADG 249431. We used the Arabic lexicographic encyclopaedia Lisān al-ʿarab and, thanks to the regularity of its structure, we developed a system for the extraction of morphologically labelled word sequences, to be exploited for morphological analysis purposes. This paper illustrates indexing routines developed for the G2A Web Application, a philological system totally open source designed by the Team of the ILC-CNR of Pisa within the context of the ERC project Greek into Arabic. Philosophical Concepts and Linguistic Bridges (Ideas AdG 249431). Section 1 introduces the concept of ‘index’ in this peculiar field. The indexing process implemented by the ILC-CNR Team for the G2A Web Application is illustrated in Section 2. Section 3 discusses the component of textual criticism. [Angela Ulacco] M. Regali, Il Poeta e il Demiurgo. Teoria e prassi della produzione letteraria nel Timeo e nel Crizia di Platone, Academia Verlag, Sankt Augustin 2012 (International Plato Studies 30), p. 213 / [Marco Zambon] D. Dainese, Passibilità divina, Città Nuova, Roma 2012 (Fundamentis novis, 2), p. 306 / [Germana Chemi] Agostino, La trinità, a cura di Giovanni Catapano e Beatrice Cillerai, Bompiani (Il pensiero occidentale), Milano 2012, p. 1315 / [Germana Chemi] Sebastian R.P. Gertz, Death and Immortality in Late Neoplatonism. Studies on the Ancient Commentaries on Plato’s Phaedo, Brill, Leiden - Boston 2011, p. 223 / [Cleophea Ferrari] Grundriß der Geschichte der Philosophie begründet von Friedrich Überweg, völlig neu bearbeitete Ausgabe herausgegeben von Helmut Holzhey. Philosophie in der islamischen Welt 1 (8. -10. Jahrhundert), herausgegeben von Ulrich Rudolph unter Mitarbeit von Renate Würsch, Basel 2012, p. 612 / [Cristina D'Ancona] Revelation and Falsification. 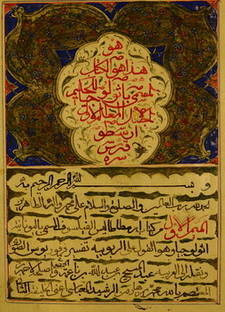 The Kitāb al-qirā ʾāt of Aḥmad b. Muḥammad al-Sayyārī. Critical Edition with an Introduction and Notes by Etan Kohlberg and Mohammad Ali Amir-Moezzi, Brill, Leiden - Boston 2009, p. vii + 363, Arabic Text, p. ٢٠١ - ١ (Texts and Studies on the Qurʾān, 4) / [Marco Di Branco] Le Roman d’ Alexandre à Tombouctou. Histoire du Bicornu. Le manuscript interrompu, trad. de G. Bohas, A. Saguer et A. Sinno, Arles, Editions Actes Sud - École Normale Supérieure de Lyon - Bibliothèque Mamma Haidara, Paris 2012 (Les Manuscrits de Tombouctou), p. 240 / [Cecilia Martini Bonadeo] Olga Lizzini, Avicenna, Carocci Editore, Roma 2012 (Pensatori, 28), p. 339 / [Jules Janssens] Teresa De Franco, Primati e principi della medicina di Avicenna (Ibn Sina), Levante Editore, Bari 2009 (Hermes. Collana di Ermeneutica della storia, 1), p. 168 / [Elisa Coda] Angela Guidi, Amour et Sagesse. Les Dialogues d’amour de Judah Abravanel dans la tradition salomonienne, Brill, Leiden - Boston 2011 (Studies in Jewish History and Culture, 32), p. 363.